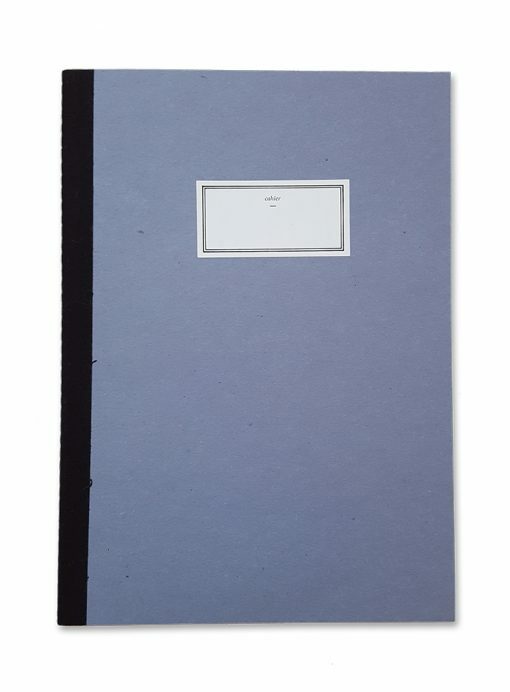 Notebook with a blue cover. Stitched bound with black fabric spine. 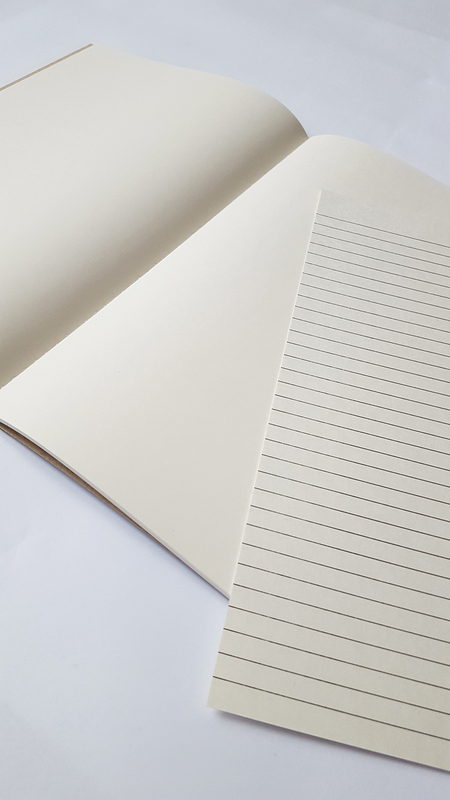 Draw or write in this minimalistic, plain notebook. 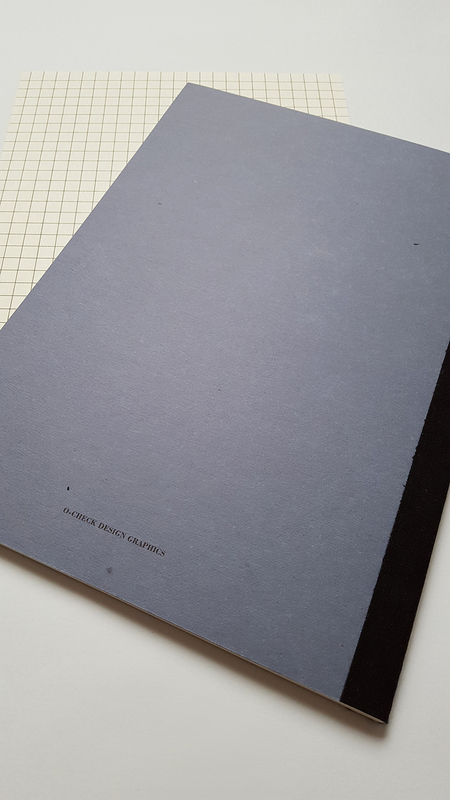 It comes with a detachable lined/grid sheet for use under the pages.